Traditional zinc wall cladding systems are fully supported metal claddings that use tried and tested hard metal seaming techniques which have been used for centuries. The angle standing seam and flat lock wall cladding systems fall into this category. 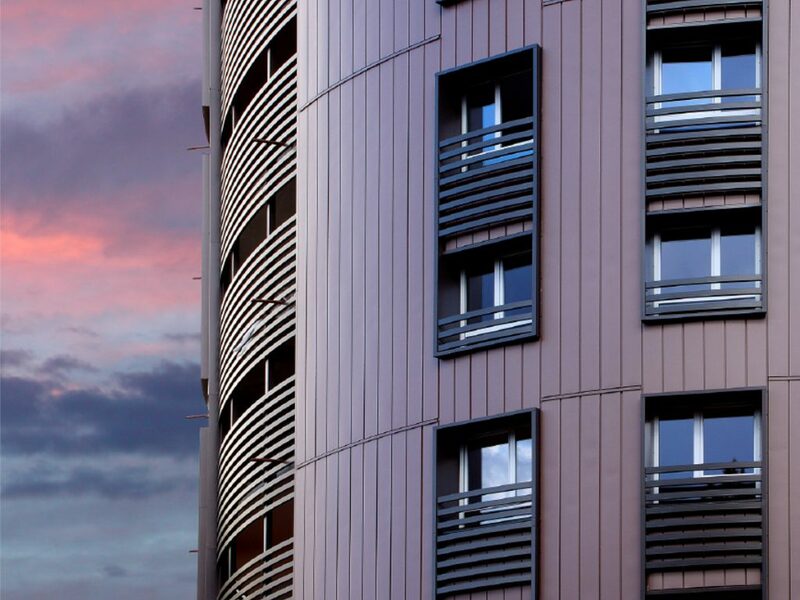 Being one of the most malleable cladding materials, zinc also lends its self to more contemporary zinc façade systems, such as cassette and interlocking zinc panel systems. The complete elZinc® range of finishes can be installed using these systems. We are always happy to assist with product information, zinc cladding detail drawing and installation guidance. The information provided in this section can be used as a guide to the basics of zinc wall cladding construction. Please also consider local compliance requirements. We are always happy to assist with appropriate guidance and technical support to meet such requirements. These systems are installed by zinc façade cladding specialists, offering a hand crafted, artisan appearance. The subtle variations and gentle pillowing effect that can appear naturally under different light conditions create interest and texture with in zinc cladding. 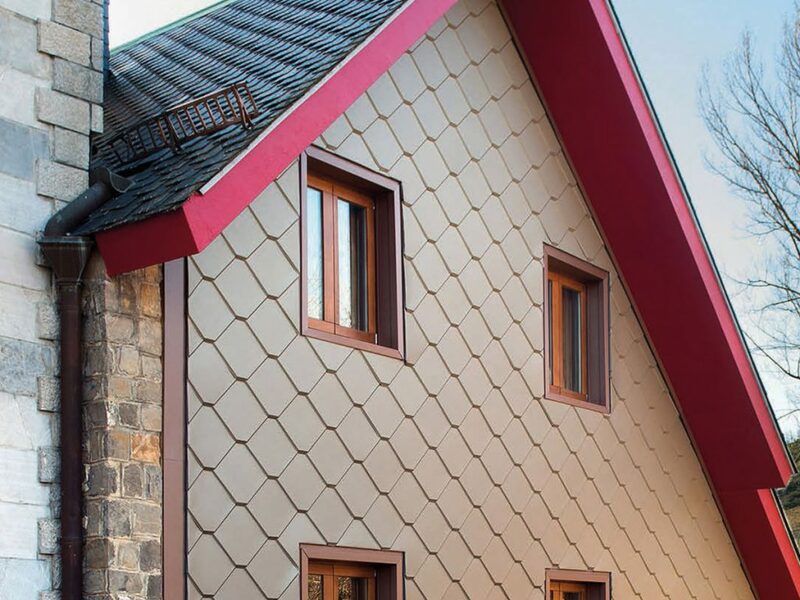 Making use of the malleability of elZinc®, zinc wall cladding can be curved, tapered, formed and folded to conform to almost any geometric design. Intelligent use of the joints can convey interesting effects. 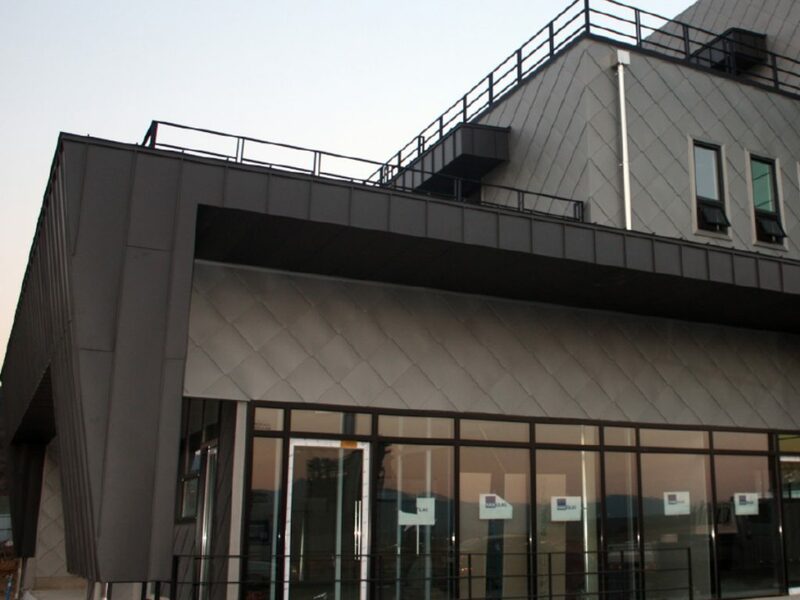 Zinc cladding systems should be installed by experienced zinc façade cladding specialists. Contact Zinc Iberico for assistance. 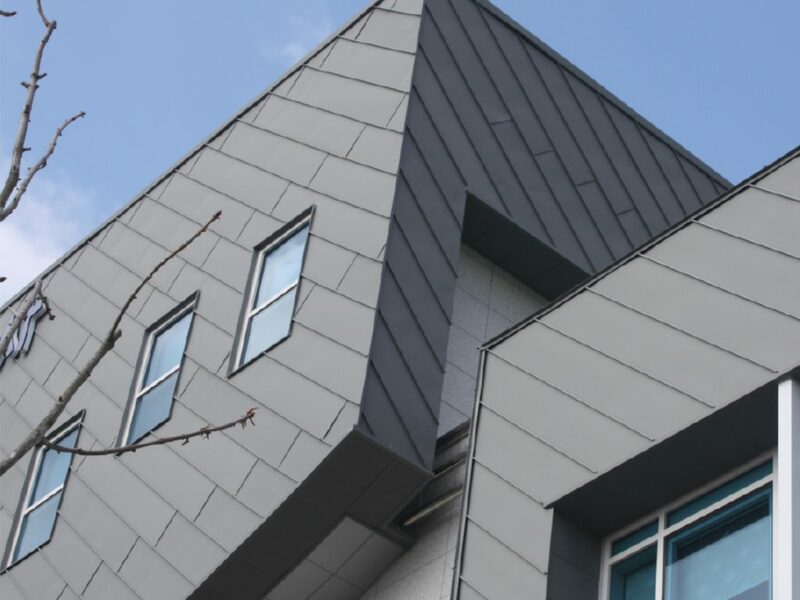 Zinc cladding is well known for its durability. This long-lived metal cladding material is the ideal choice for projects with a long design life. The use of thin material gauges coupled with adaptable installation techniques and modern building solutions helps to keep costs in line with other comparable solutions. Joints and cross seams are used to connect zinc cladding and create continuity. These joints can be used to create interest and texture with in zinc standing seam and other zinc wall cladding systems. Traditional zinc cladding systems utilise hidden stainless-steel clips. Whilst providing a mechanical fixing point, they also allow the material to expand and contract. Traditional zinc wall cladding systems requires the support of a continuous substrate. Requirements for this substrate will vary depending on applicable standards and BCA requirements. Zinc Iberico are always happy to assist with guidance to address these requirements. These wall cladding systems should be installed in accordance to local and national standards and building code requirements. We are always happy to assist with appropriate guidance and technical support to meet such requirements.